On Janaury 4th, Young Justice fans can thrill to the show's long-awaited third season -- Young Justice: Outsiders. (Watch Young Justice seasons 1 and 2 here.) As longtime comics fans know, the Outsiders were founded by Batman when his friend Lucius Fox went missing in the country of Markovia. The Justice League was ordered by the American government to stand down or risk an international incident. When the League complied, Batman, never one to play by the rules, quit the team on the spot and formed his own covert-ops group. 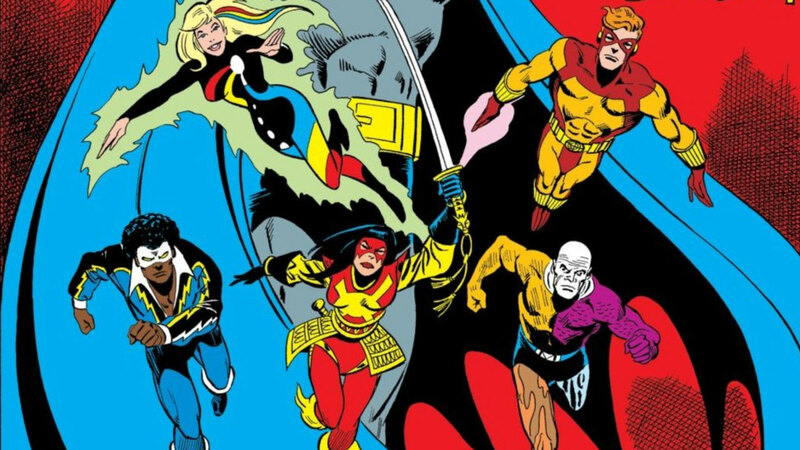 The Outsiders debuted in 1983's The Brave and the Bold #200, and earned their own title with that same year's Batman and the Outsiders #1. Who are the Outsiders, and why did Batman choose each of them? Let’s meet the team! POWER SET: Although later versions of the character had metahuman powers, Black Lightning’s original abilities were man-made. 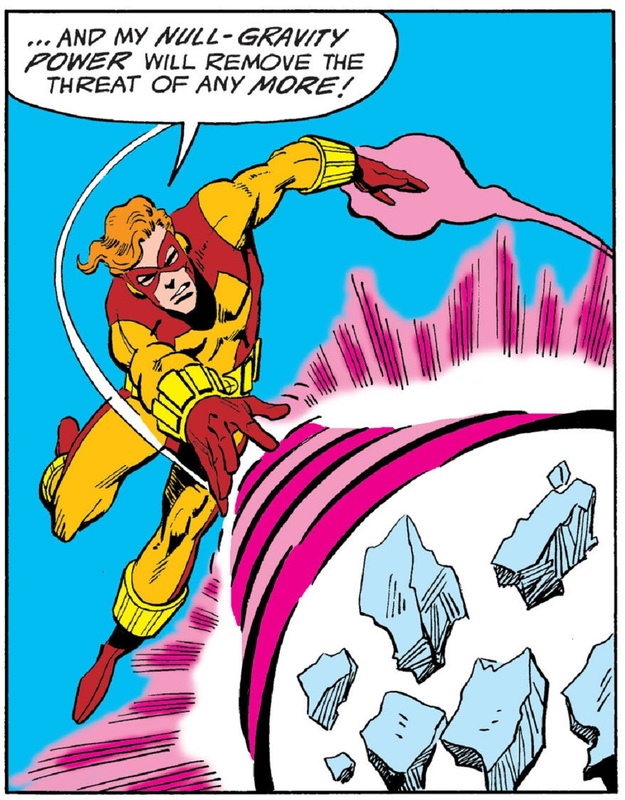 Jefferson’s powers came from the supersuit he wore, which contained a belt that allowed him to channel and redistribute electricity. ORIGIN: Jefferson Pierce was a schoolteacher who had grown tired of seeing his school and neighborhood turn into a battleground for gang violence. Realizing that his community needed a symbol, Jefferson donned the Black Lightning mantle, after his friend and mentor Peter Gambi built him a supersuit. JOINING THE TEAM: Jefferson was the first person to join the Outsiders. Batman brought him along to Markovia because he needed somebody who could pass as Lucius Fox’s brother. Jefferson had been reluctant to get back into the hero game, as his last outing had ended with an innocent civilian killed in the crossfire. Working with a new team, however, Black Lightning was able to regain his confidence, and decided to remain with the newly formed Outsiders. POWER SET: In addition to the power of flight, Halo can manipulate multi-colored auras around herself, and use them for attack and defense. ORIGIN: Halo is the union of a young girl named Violet Harper and a member of the ancient Aurakle race, a group of light-based beings comprised of pure energy. Violet had fallen in with a bad crowd and stole from the wrong set of criminals. After being executed, a curious Aurakle bonded with her, forming a new being and erasing all memory of her previous life. JOINING THE TEAM: During the Lucius Fox rescue mission, Batman found Halo unconscious and malnourished. 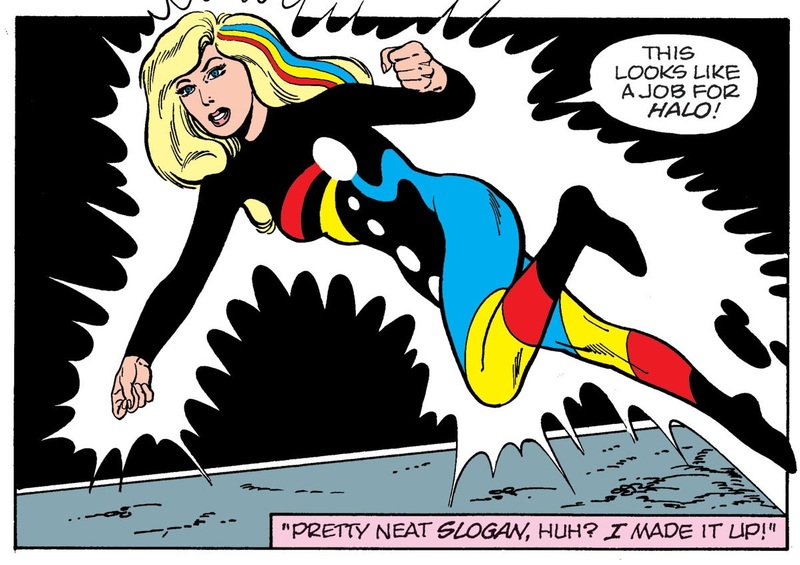 The young girl couldn’t remember her name, or how she got her powers, so Batman christened her Halo after the strange glow she exhibited. Realizing her powers would be an advantage to his mission, he told her he would investigate her origins if she helped him. Halo joined the Outsiders, who gave her a sense of family and identity when she desperately needed both. POWER SET: Brion can manipulate the earth to wield it as a weapon, and create lava blasts, and use gravity to change the density of an object. ORIGIN: When Baron Bedlam invaded the country of Markovia, Dr. Helga Jace subjected Prince Brion to a procedure which gave him earth-related super powers. While he was too late to save his father, Brion (now operating as Geo-Force) hoped he could use his new abilities to take his country back. JOINING THE TEAM: During Baron Bedlam’s coup of Markovia, Geo-Force met Batman and his allies. After working together to stop the mad Badlam, Prince Brion chose to follow the team to America and try life as a superhero. POWER SET: Like Batman, Tatsu has no superpowers but has a great deal of skills in martial arts. Her sword, known as the Soultaker, has special powers and can hold the spirits of those it slays. ORIGIN: Tatsu Yamashiro became Katana after her jealous brother-in-law murdered her husband and children. Tatsu trained herself to be the finest of martial artists, and learned how to successfully wield the Soultaker sword. JOINING THE TEAM: Katana traveled to Markovia on a mission of vengeance against General Kranz, who had played a role in the murder of her family. But her presence got in the way of Black Lightning’s mission to rescue Lucius Fox, leading to his capture. Feeling guilty, Katana worked to free Black Lightning and the other captured heroes. 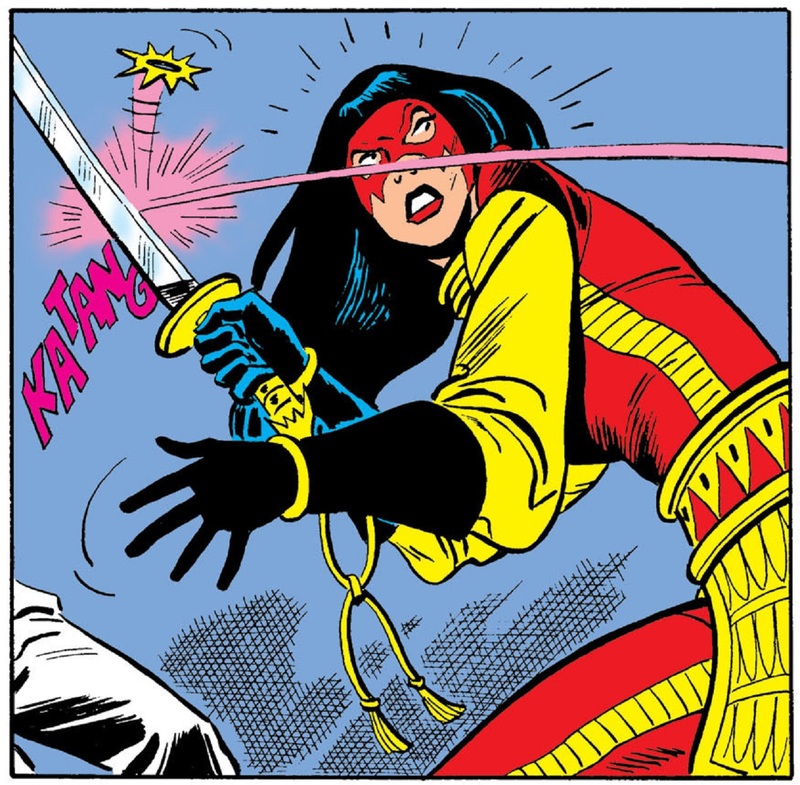 After working together to take down Baron Bedlam, Katana chose to remain with the Outsiders. POWER SET: Metamorpho’s body can transform into different elements comprised of gas, liquid, or solid. ORIGIN: Adventurer Rex Mason was hired to find an ancient ore, but he was attacked and left to die near a radioactive meteor. The meteor’s radiation wound up transforming Rex, and giving him the power to change his body’s elemental structure. JOINING THE TEAM: Metamorpho had journeyed to Markovia hoping one of their scientists would be able to cure his condition and turn him fully human. He wound up in the middle of the Markovian insurrection, and teamed up with Batman and his allies to take the kingdom back. 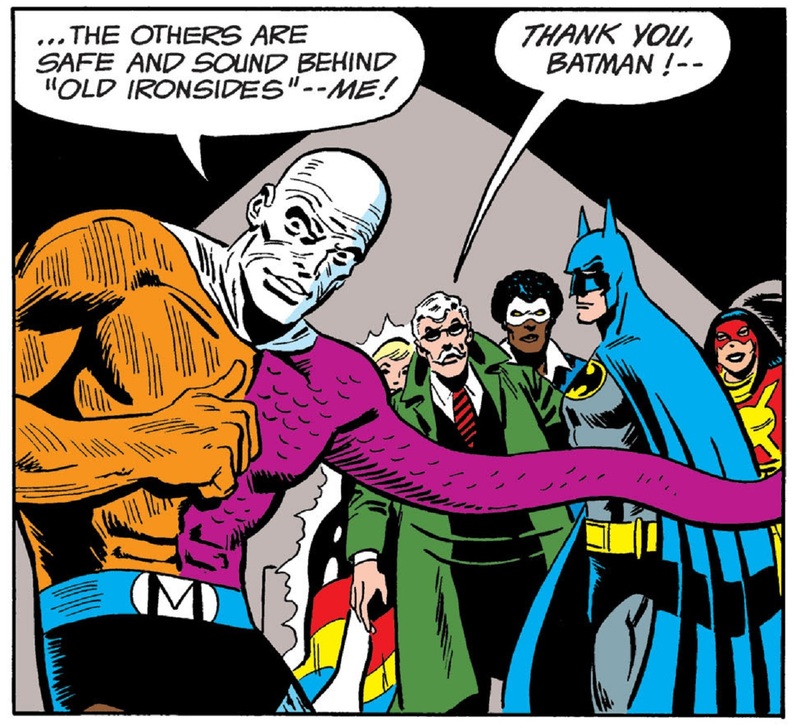 It was Metamorpho who first suggested the name “Outsiders” for the team. It’s quite a team that Batman put together! 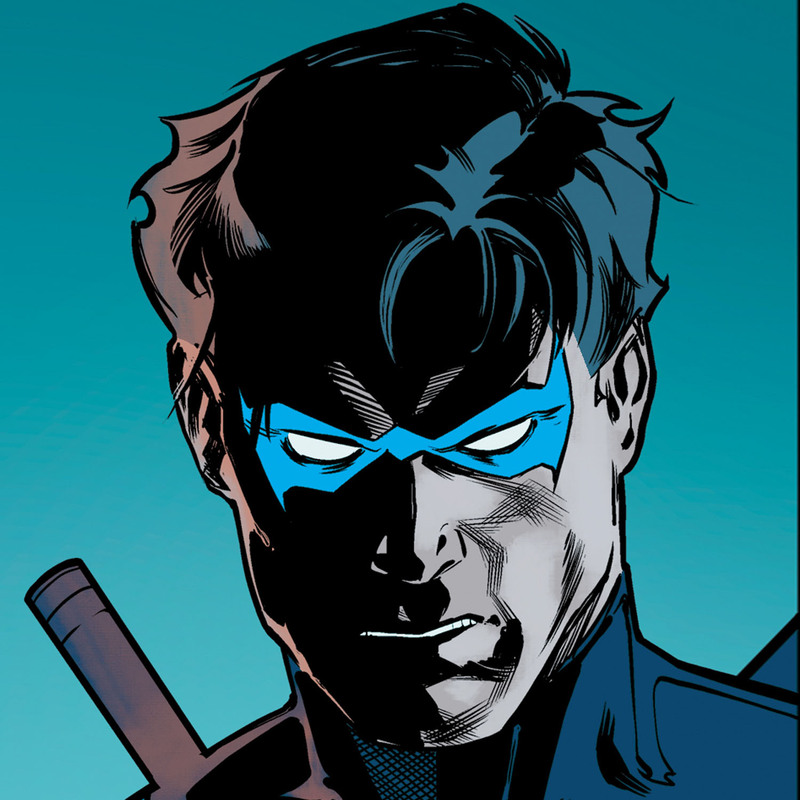 If you want to learn more about them, be sure to read Batman and the Outsiders right here. And don’t forget to check out Young Justice: Outsiders when it premieres on January 4th, only on DC Universe! Who's your favorite Outsider? Let us know in our Community!